Nottingham-based John Pye Auctions has appointed Lee Mabbutt as its new head of vehicles to enhance its used vehicle offering and expand its reach into trade, fleet and private sectors as part of its ambitious 50th anniversary growth strategy. Joining John Pye Auctions from British Car Auctions where he worked as a remarketing manager, Lee brings with him 28 years’ experience in the industry, including extensive experience of the whole remarketing service chain with vehicle manufacturers, fleet and rental operators, dealers and traders in the UK, Middle East and Africa. Lee joins John Pye Auctions as it celebrates its 50th year of business, which will see the company working on a number of business development fronts to bolster its client and customer service offerings across each of its five departments; John Pye Vehicles, John Pye Luxury, John Pye Property, John Pye Business Assets and John Pye Retail. Lee said: “I am very excited to be joining such a fast growing and ambitious business, which is already well known in the used vehicle industry and has even more potential for growth. This business is big enough to handle significant clients yet small enough to care about individual consignments, which is uncommon in this industry. 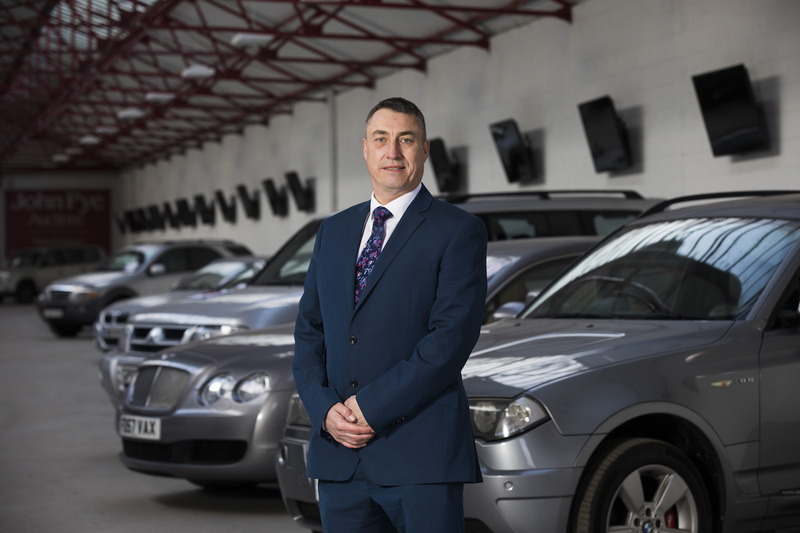 John Pye Auctions is making significant investments in its Vehicles department, which has grown substantially since 2011 to a UK network of more than 18 sites. Vehicles range from seized cars, motorbikes, vans and trucks to prestige sports cars, classic cars and F1 cars, all managed for a variety of clients. Lee, who resides in Shropshire, will be based at John Pye’s Marchington auction site in Staffordshire, but will work closely with staff across all of its hubs UK wide. He said: “Over the next 12 to 18 months, I hope to coach and encourage the Vehicle team to deliver consistent performance and exceptional customer service while also introducing first class vehicle consignment and vehicle appraisal software. I’m also looking forward to introducing new vendors and buyers to the business and supporting the directors with growing volumes and lifting the company’s profile in the industry.